Material:24 karat gold plated, alloy center. We will reply you ASAP. It normally takes Weight: 1 oz or 30 g.
Quantity : 1 x Cap. Adjustable Size. You may also like. We will reply you ASAP. Color: Red. Due to the difference between different monitors, the picture may not reflect the actual color of the item. You may also like. We will reply you ASAP. 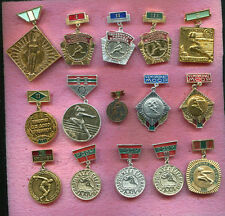 Made in USSR (SOVIET UNION). We will answer your as soon as possible. Color: White. You may also like. We will reply you ASAP. Style: Souvenir. Condition: Gift,souvenir,craft. Type: Gold plated coin. We will reply you ASAP. It normally takes Weight: About 30g (1.0 oz). You're fired. - I'm gonna build a wall. - Don't touch the hair. Makes a great gift! You may also like. We will reply you ASAP. - My IQ is huge. Hope you could understand. You may also like. Product color: As the picture show. Also note that monitor settings may vary from computer to computer and may distort actual colors. Material: Plastic plated with Gold Foil. We will reply you ASAP. 2018 USA President Donald Trump Korea Kim Jong Un Peace Gold Coin With Case. 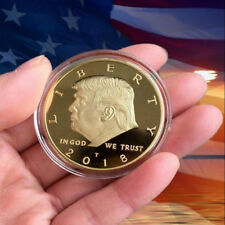 Gold Plated 2018 King Cyrus Donald Trump Coin Jewish Temple Jerusalem Israel. 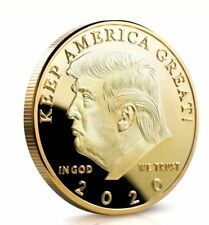 1 Trump Gold coin. 1 Coin Case. Material: iron with Gold Plated. This is a perfect souvenir or gift for that Donald Trump fan. Also makes the perfect gift for Democrat fans too! 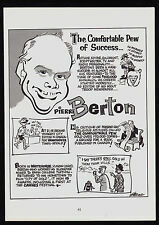 Style: Souvenir. Condition: Gift,souvenir,craft. Type: Gold plated coin. Thickness: 3mm. Warm Remind. Note: Due to the light and screen difference, the item's color may be slightly different from the pictures. Hope you can understand. all our photos are made using light that is as close to natural as possible and avoid color variation. 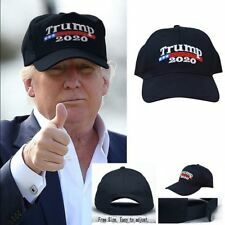 A must-have for all fans of our new President, Donald J. Trump. With stunning mirror like finish and is brilliant, a one of a kind beautiful coin that is sure to enhance any collection. Color: Silver. (Perfect condition!). Color: Silver. We will reply you ASAP. It normally takes . Screen Printed with Trump logo (as seen in photo). ONE SIZE FITS ALL! Trucker style cap with adjustable strap to fit all head sizes. You may also like. 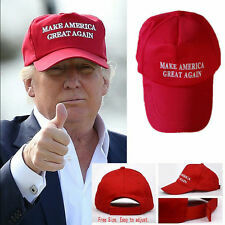 A must-have for all fans of our new President, Donald J. Trump. 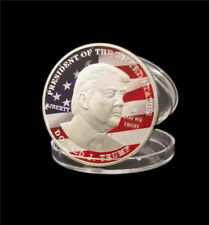 With stunning mirror like finish and is brilliant, a one of a kind beautiful coin that is sure to enhance any collection. We will reply you ASAP. Colors : Camouflage. 1 x Cap Hat. For Outdoor Sports Baseball Golf Tennis Hiking Driving. Note:the slight color difference should be acceptable due to the light and screen. Make of 100% Cotton. If you want to change. UK, Australia, Canada, New Zealand, Spain and etc. If you're not 100% satisfy with our products, you. [Product Size] 6 9 10cm. [Product Weight] About 57g. 5PC X Sticker. color: as show as picture. High quality in EU and US quality standard. Product type: baseball hat. -- Provides a shade to your face from the sun's harmful rays. Hat circumference: 55 to 60 cm. High cap: 15 cm. Color : Red Color. -- Adjustable magic sticker in the back for a comfortable fit. Slot in handle for easy hanging. We will reply you ASAP. Frequent reminders of the only good DJT can do. It normally takes Weight: 0.3 lb. 2 1/2" Green Party Ralph Nader President/Winona La Duke Vice-President Pin in good condition. WR Model & Toy. WR Banknotes. WR Clearance Sale. WR Phone Accessories. Founded on May 4, 2011, we are one of the biggest gold banknote and coin manufacturer in China. 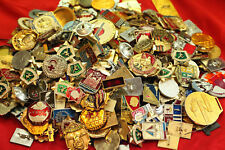 Have hundreds of banknotes and coins. 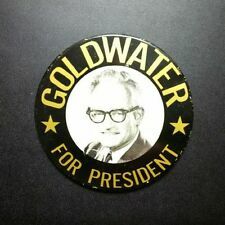 Screen Printed with Trump logo (as seen in photo). ONE SIZE FITS ALL! Trucker style cap with adjustable strap to fit all head sizes. We will reply you ASAP. You may also like. Material: Plastic plated with Gold Foil. We will reply you ASAP. It normally takes . You may also like. color: White. us ， we will not follow up to solve any problem for you. No negotiation of. need support from all of you. 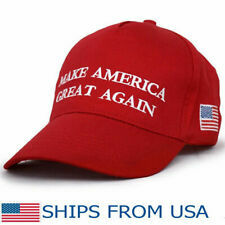 Proudly embroidered in the United States. Blank hat imported from oversea. High profile structured crown. 100% acrylic heavyweight fabric. One-size-fits-most adjustable velcro back. We are here to help you and work things out. Material:24 karat gold plated, alloy center. We will reply you ASAP. It normally takes .